LIFE IS ALWAYS A BEACH . . .when you're a SEA GLASS HUNTER! 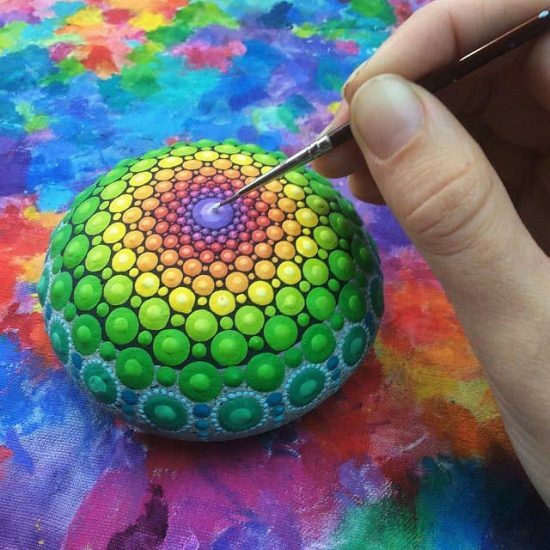 RECENTLY I was looking for abalone suppliers for my "How to Go Into Tile Laying for Custom Bathrooms" article, where I suggested that young men learn to tile bathrooms and then use gem stones and seashells in mosaics, custom tile designs. 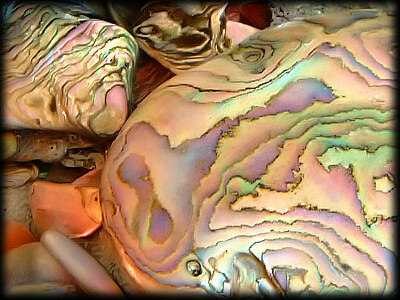 And use abalone in their mosaic work.And do table tops, mirror edging, inset marquetry on drawers, jewelry.. I found lapis lazuli tile makers for that bathroom/ kitchen tile article, and found those who dig out/ or mine lapis and wholesale this rare, dark blue gem stone doing so out of Pakistan.But then I google image some more and stumbled upon an ABALONE WEBSITE and I was reminded how knock out this gemlike creation of Mother Nature IS, how it beats diamonds and opals even.And on their page was something about beach glass excursions. I didn't know there were actual beach glass suppliers with BIG BOOKS OF PICTURES of beach glass but when I googled I found them, excursions, glass for sale, pictures and The stuff was gorgeous. Different sites had BAGGIES of DRILLED SEA GLASS FOR SALE, 4 oz of glass pieces JUST LIKE GEMSTONES, different prices.. 15$ for 4 oz. white. 40$ for 4 oz greens to 60$ bucks for turquoise and 200$ for cobalt blue. Hey last time I saw a baggie of 4 oz go for that price was in the 60's! And it weren't glass! So when I saw this, I thought "hey there's something a young mother could do to support babies. Hit the tidal pools with her kids and bag up glass. And go home and make jewelry! I remembered how a net gal pal called herself the MERMAID and made beach glass anklets which were so knock out I had written it up and posted it on the BAZAAR FOLKLORICO SEMINAR website. 150 classrooms on the theme of my ole Bazaar and how we did it on the Sunset Strip and how you can do it. I left to make babies in the hills of Mexico but my biz partner JULES made millions. He is of course, the MASTER JULES. (His lectures on the metaphysics of wealth are online).I do a website on raising BABIES with a Spanish Basque Husband living in the hills of Guanajuato. This beach glass thing could be a great business for someone who is staying home with small children who want to do the beach thing every weekend. Do BEACH GLASS JEWELRY, place your work at local gift shops. So DO THE BEACH SEARCH thing as a family! And then sell the jewelry you make of it. When I stumbled on the website of a great abalone supplier in the Frisco area, I saw that they teach you how to find beach glass. They take you kayaking around the San Francisco bay in the tide water, where beach meets wave, to find freshly 'minted' specimens that the ocean just coughed up on isolated beaches. THE EXCURSIONS are in a group, a classroom you pay for of course but if you google around using search terms 'finding beach glass' there are numerous FREE online classes! I collected that kind of info and put it at the BEACH SEARCH PAGE NOTE that the Frisco seminars are given during LOW TIDES. These are different on every beach, you know, so you need to check with your local newspaper if it has the tides columns. Or with GOOGLE for your area. Then with fishing captains on jetties near you who take the daytrade out to the islands also with whomever watches that kind of statistic at local colleges. And with any luck, you can make a side business in clams, oysters and mussels! At low tide, knuckle digging in lazy circles produces these huge, delicious clams! What a treat those are! And imagine how lucrative an under the table clam biz might be. You get your list of nearby families that subscribe to your cockles and whelks at l5$ bucks a pound bag. They are not hard to find, either while "Sea glass is becoming increasing difficult to find as recycling efforts improve and fewer people are tossing their trash in the waterways and oceans. (Oh shucks! DURNIT!) Another major factor in the scarcity of sea glass is that glass is being replaced by plastics. Many factors dictate the value of an individual piece of sea glass. Red and orange are very rare and extremely difficult to find. A good piece of jewelry grade red, yellow, purple and/or pink can fetch over $100. Counterfeiters sand blast glass of all colors so you don't want to ever BUY it from another person. You could get rooked. 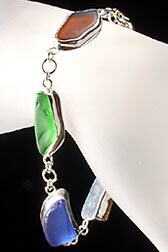 It takes several years for sea glass to form with the majority of our pieces being at least fifty plus years old. 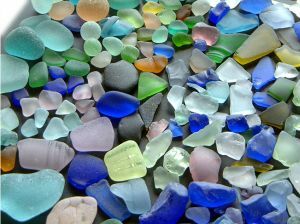 Though there is artificially tumbled craft glass on the market that is mass produced and sometimes sold as sea glass, it does not have many of the features unique to genuine beach sea glass. Genuine beach sea glass often has small "C" formations on the surface, irregular to very uniformly round shapes and often times reveals what it’s original form was such as a Coke bottle or a lip from a bottle that is threaded. Sea glass that has formed naturally will often have deep pitting and a light crystalline patina on the surface causing it to sparkle in the sunlight. Rest assured that after they are rescued from the beaches that the only indignities they sustain is a dunking in bleach water to kill any bacteria and a thorough rinsing followed by a session in an ultrasonic jewelry cleaner using nothing more then warm water to knock loose any stubborn dirt or algae. GOOGLE GLASS & ONLINE FREEBIE TRAINERS and ExCURSIONS. USE GOOGLE IMAGE TO SEEK photos of beach Glass and consider its USE in transparant collages, like leaded glass. Or LIGHTING FIXTURES. You should probably google images first, on this one, then try search terms. Like lighting fixtures. When you see an image you like, click on right side to VIEW WEBSITE. 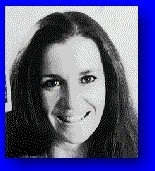 <====HOW TO TINKER WITH OTHER PEOPLE's BRAINS for big $. Call it "TANTRUM YOGA"
<=== BACK TO HOT IDEAS FOR MERCHANDISE!